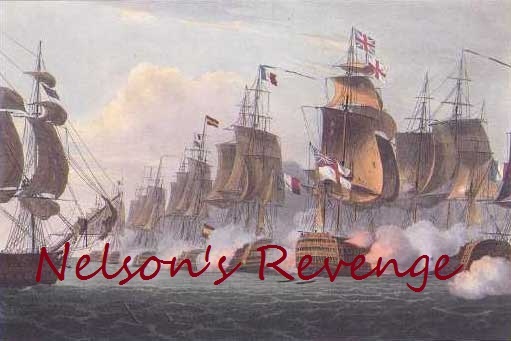 Nelson's Revenge: Pox, plague and pestilence!!!! I fell ill today: coughing, sneezing, soare troath, headaches, you name it.. I've taken this blessing of the good Father Nurgle to start work on my little deamon army in His name. Hopefully with this lovely gift from the Plaguefather I'll be able to finish my 1000 points Warhammer army soon, expect pics later this week. I've also taken the liberty of making an objectivemarker, I don't know if I need one but that doesn't matter as these things are a load of fun to do and can be really tailored to match your army. In my case it's a rusty cauldron filled with bubbling ooze sitting on top of a pile of skulls, you get the picture.